If one takes a closer look at Christian IX’s Palace at the royal castle of Amalienborg, it should be possible to see some cracks in the wall. The cracks, which are accompanied by streaks of flour paste, ostensibly derive from the time when a bunch of small three-legged birds sawed through Her Majesty the Queen’s residential palace, stole it, and hid it in the woods until they were paid a ransom of their favourite cookies and returned it nicely back in place. The same kind of crack has also appeared on the Round Tower’s footing. A few decades prior to the theft of Amalienborg’s south-eastern palace, the old tower had supposedly been the victim of a similar crime. 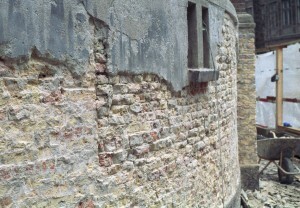 The crack served as an observable proof of the act until the plaster on the lower half of the Round Tower was renewed in 1992. 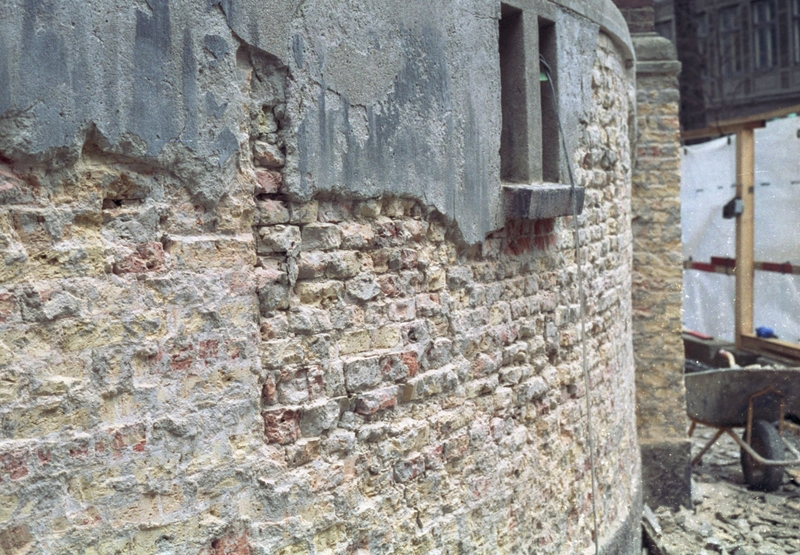 It is not every day that ordinary building repairs are discussed in the newspapers, but this was not exactly an ordinary incidence, for, as the newspaper Berlingske Tidende wrote, “With the new foundation the last trace of the yggenyks vandalising the Round Tower disappears”. The yggenyks is the name of the three-legged birds whose cosynosy crimes appear in the classic children’s book When the Yggenyks Stole the Round Tower (Da Yggenykkerne stjal Rundetårn), which was first published in 1968 and since then has been issued in various editions and reprints, as well as in the sequel When the Yggenyks Stole Amalienborg (Da Yggenykkerne stjal Amalienborg) from 1997. Both are written and illustrated by the author Jørn Birkeholm (born 1937), who has published numerous children’s books since he made his literary debut with The Story of the Little Fluffmen (Historien om de små nullermænd) in 1967 and who is also, among other things, the co-author of the famous televised Advent calendar Christmas in Oldtown (Jul i Gammelby) from 1979. 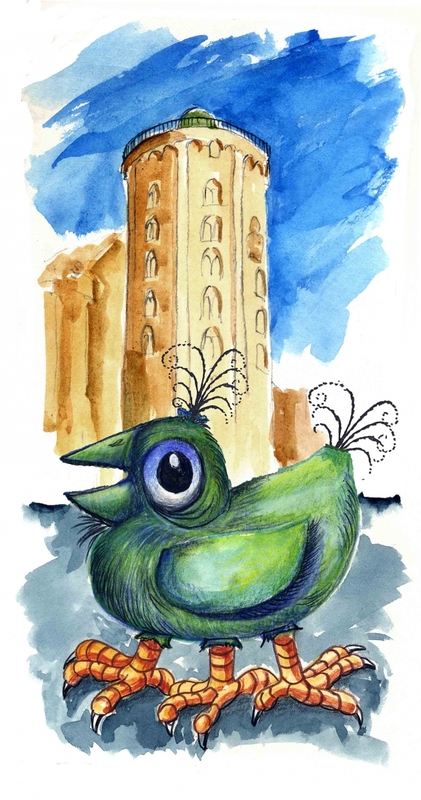 The small three-legged creatures, who are also known for their fountain-like tuft of hair on top of their heads, apparently have a partiality for conspicuous edifices. 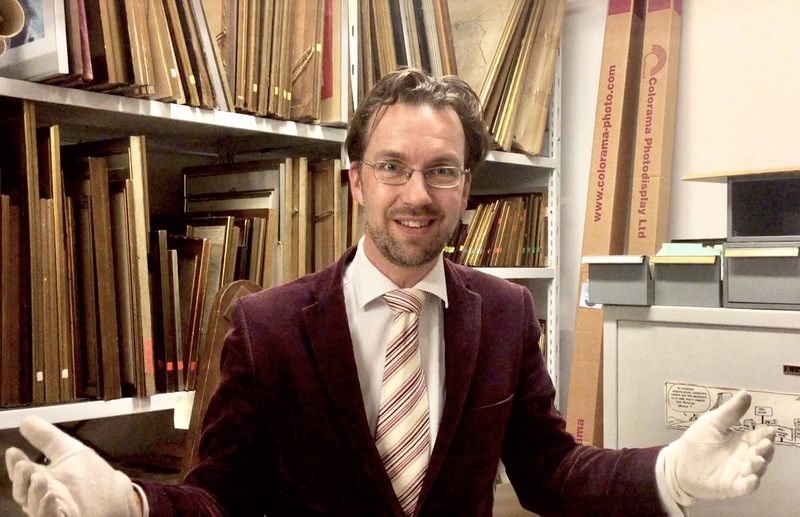 At any rate, in The Book About the Most Peculiar Animals in the World (Bogen om de særeste dyr i hele verden), which is quoted in both books about the yggenyks, one can read that they once sawed through a church tower in America, stole it, and hid it so thoroughly that it has never been found since. A church tower is also what is important when Jørn Birkeholm has to explain from where the yggenyks originate. “When I was a little boy and lived in the little town of Malling, we were allowed to stay out until the church bell rang,” he relates. 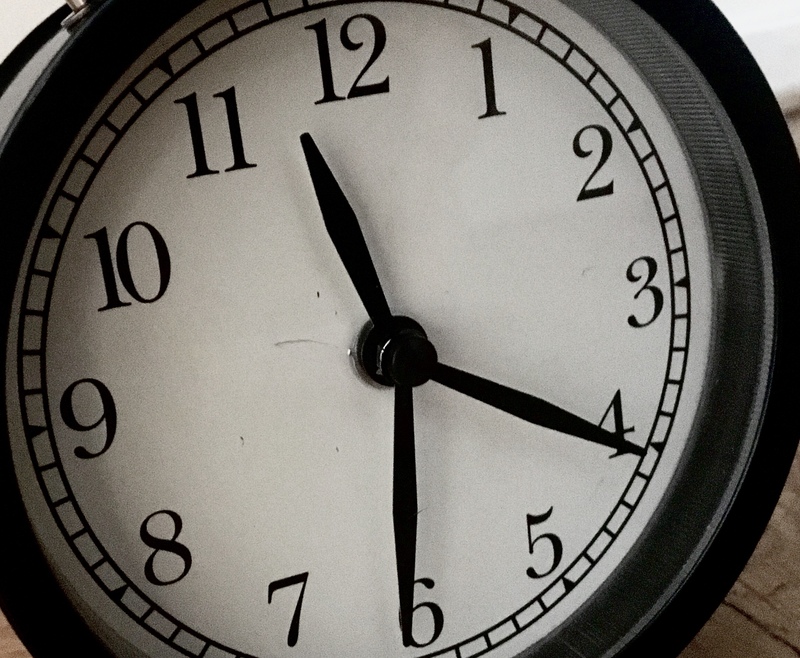 It was, however, often difficult to reach home in time and when he had to explain to his mother why he was late, he invented some terrible monsters that had restrained him. “My desire to lie has been intact ever since I was a boy,” he says. When Jørn Birkeholm later became a schoolteacher and a principal, he told his pupils about the yggenyks who lived in the roadside ditches. The kids went out to look for them and when they were not able to find them, he said that it was because they were as green as the grass. The kids then dragged their parents outside again – now they should definitely be able to see them. The story about the yggenyks has since been written down and published in book form. And it is not the only one that was printed during those years. A study that deals with the history of the Danish picture book thus notes that “Alongside the realistic tendency in the 60s, there is an incipient growth in the amount of authors and illustrators that focus less on the picture book as a pedagogical tool and more on it as an imaginative and personal expression”. The yggenyks, for instance, are akin to the slightly younger imaginary creatures “skovserne”, who live in the forest and feed on dew on red cabbage, and whose story has been told in several books by the author Carl Frederik Garde (1928-2008). In When the Yggenyks Stole the Round Tower one can read that the yggenyks also like green forage. “They eat many dandelions and stinging nettles,” the book says, “but cookies are probably the thing they love most of all”. As mentioned, the cookies played an important role in making sure that the Round Tower got back on its feet. 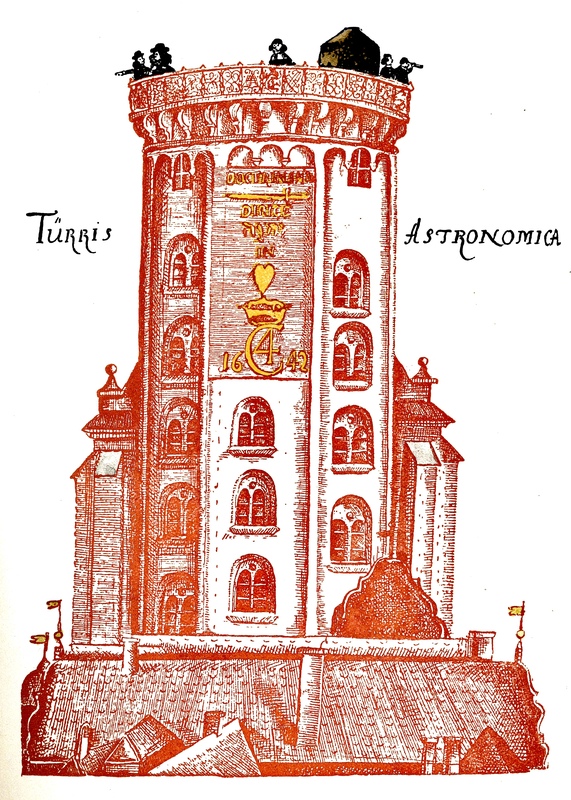 However, the persuasive powers of the long baker Sørensen, who was the only eyewitness to the yggenyks’ theft of the tower, was also a contributing factor. When the yggenyks ask him why he is interested in knowing where the Round Tower has disappeared to, he thus replies that, “we would very much like to have it back. Everyone who visits the city usually goes up the Round Tower to enjoy the lovely view. We simply cannot do without it”. And when the yggenyks get their cookies, the Round Tower is put back in place with a little help from the baker who comes rushing with a big bucket of flour paste. 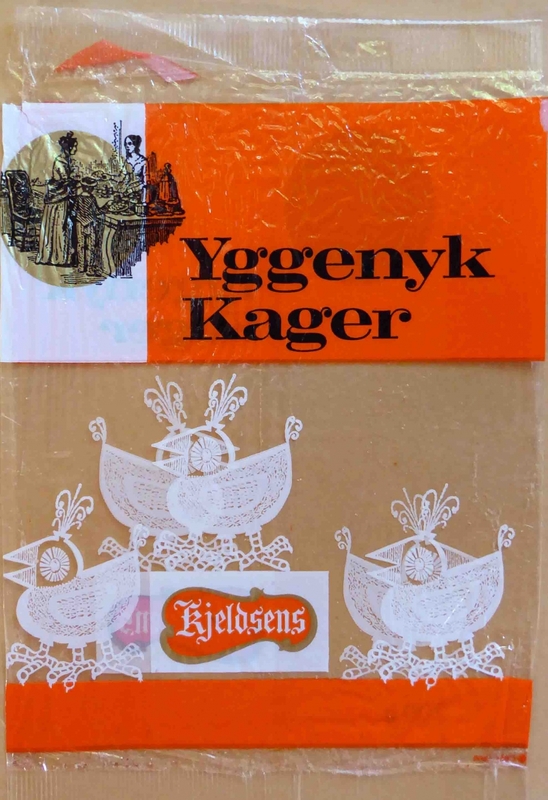 The cookies have helped to make the yggenyks, who are a little larger than a hen, become widely known because they were, for a time, produced by the cookie brand Kjeldsens under the name Yggenyk Cookies (Yggenyk Kager). Today, however, one must make them oneself if one wants to try the yggenyks’ favourite cookies. The recipe can be found in both books about the yggenyks. In fact, Jørn Birkeholm, who is the son of a baker, tells us that it is his grandmother-in-law’s Christmas cookie recipe.